Tour introduction: Located in Baruunburen sum of Selenge province. Amarbayasgalant means "Peacefully happiness" in Mongolian. 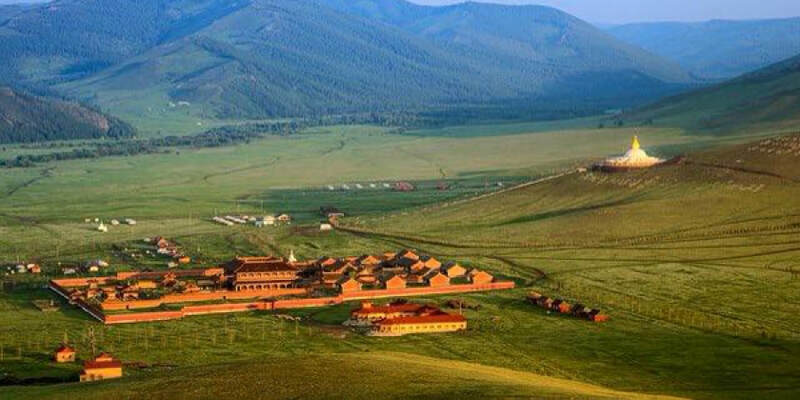 Amarbayasgalant Monastery was built in 1727 by order of Manchu Emperor named Enkh-Amgalan for the memory of Undur Gegeen Zanabazar who was main saint monk of Buddhism during that time. Building work of the monastery finished in 1736 and it was important religious complex with 40 monasteries and temples. There is stupa called Jaron Hashor on the mountain by the monastery. It also called as Eye Stupa because when you look at eye at stupa, all of your sins will be away from you. Aglag Buteel Temple is located 100km north-west of UB city on the rocky and forest mountain. After visiting this temple, team will go hiking following trails.